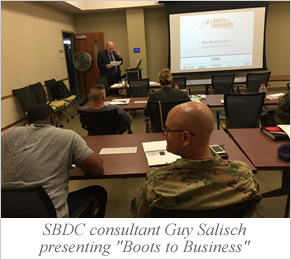 The New Jersey SBDC at the Rutgers School of Business in Camden, New Jersey, has been conducting the “Boots to Business” Entrepreneurial Program at the Fort Dix/McGuire Air Force Base in Lakehurst, New Jersey for the past two years. Partnering with the Small Business Administration Office of Veterans Business Development, Americas SBDC and the New Jersey SBDC, the Rutgers Camden SBDC has lectured hundreds of returning soldiers seeking to start their own businesses. “Boots to Business” enables military service members and their spouses to explore careers in business ownership and self-employment, by showing them how to apply their military skills to start and grow a business. 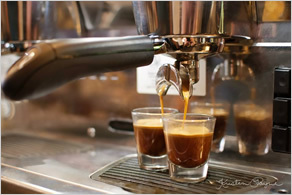 It helps them evaluate the feasibility of their business concepts and connects them to SBDCs and other SBA resource partners. Robert Palumbo, Regional Director of the Rutgers Camden SBDC, and his staff find the opportunity to help returning soldiers fulfill their dreams of owning their own businesses to be an honor and a privilege. “It has been an honor to give back to our military. The classes have been dynamic and engaging. The skills the students learn will be transferable as they embark on their ventures,” says Guy Salisch, SBDC consultant at the Rutgers Camden SBDC. “Boots to Business” is offered by the U.S. Small Business Administration (SBA) and SBDCs across the nation as a training track within the Department of Defense Transition Assistance Program (TAP). The program is available on more than 165 U.S. military installations worldwide. More than 25,000 military service members and spouses have been trained since the program started in July, 2012. For more information on the program and where it is offered, click here. I’m one of the 2.5 million veterans who served in Iraq or Afghanistan. I’m also an entrepreneur. And I’m not alone. The men and women of today’s armed services are uniquely positioned to become successful entrepreneurs. Helping America’s servicemen and servicewomen make the move from military service to business ownership is an important mission of the America’s SBDC network, and we are proud that one of our own has been named a “Boots to Business Instructor of the Year.” That honor goes to Robin Stephenson, Business Advisor at the Watertown, New York SBDC. Robin has been working to help our men and women in uniform transition to civilian life as business owners since before the creation of the Boots to Business program, and when Boots to Business came into being, Robin quickly got the program up and running for the Watertown SBDC at Fort Drum. “Our military veterans have made priceless contributions to the peace and security of our nation. Each year, thousands of veterans transition to civilian life. Many of them decide to use the discipline, skills and leadership abilities they cultivated while in the military to build a small business. Entrepreneurship is how many veterans take advantage of the opportunity to contribute to the well-being of the U.S. economy…. Boots to Business gives military service members and their spouses the opportunity to explore business ownership, helps them evaluate the feasibility of their business concepts and connects the aspiring business owners to SBA’s network of resource partners…. To learn more about Boots to Business, click here. For the full SBA announcement, click here. Tim Porter planned on a long career in the military, quickly moving up the Army ranks for nearly 10 years. But one instant changed everything. Stationed at Camp Casey in South Korea in 1998, a bomb exploded in Porter’s hands during a training exercise. Over the next 15 years, Porter would enter the information technology field and climb the ladder much like he had in the military. With the help of friends, reading books and watching tutorials, he taught himself how to develop apps. 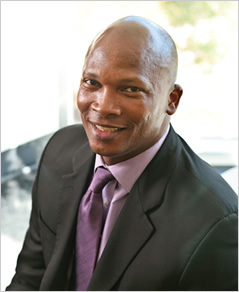 With the help of UTSA’s Small Business Development Center, he became founder and CEO in 2011 of Appddiction Studio. Porter and his team develop apps, Web-based application-management consoles, and application-based software product design. The first app that Porter and his team created is called Stop Bullies. It allows students who witness bullying to anonymously and immediately send a text description, picture, video or voice recording of the incident to school administrators via a smartphone or tablet PC. Read the whole story, and learn more about the University of Texas San Antonio (UTSA) SBDC and Appddiction Studio.